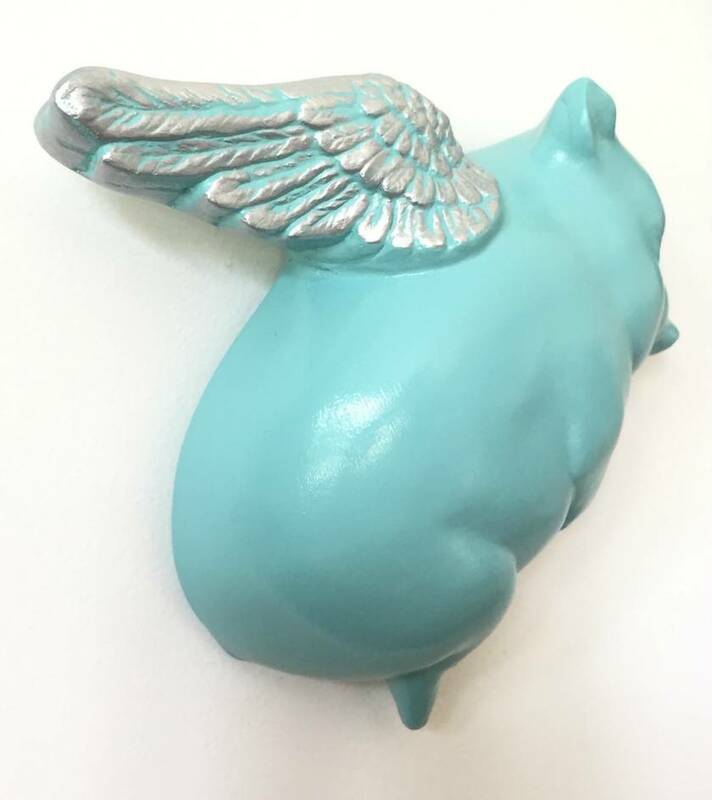 A single Flying Pig wall hanging in Teal & Silver. This piggy is cast out of a plaster/fibre glass blend then hand painted. 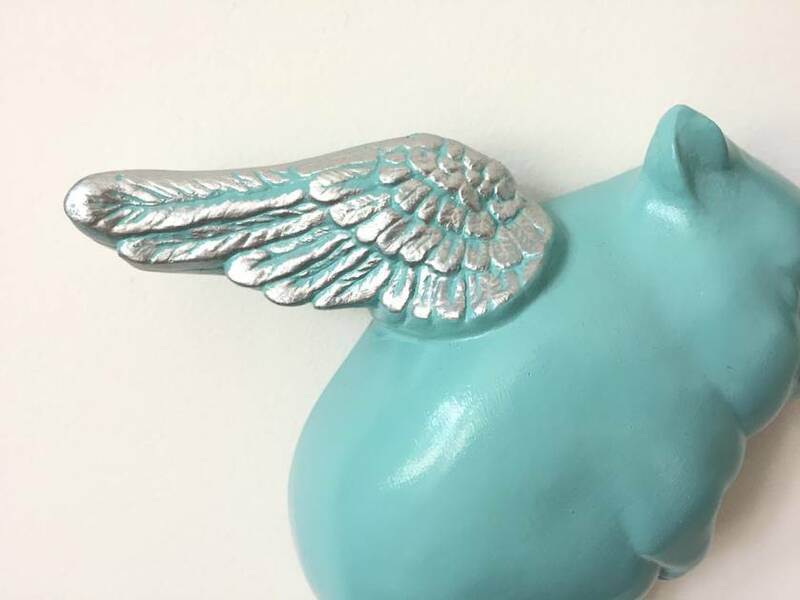 Piggy measures approximately 15cm wing tip to foot & wing tip to nose. It has a triangle D-ring hook screwed on the back for easy hanging. 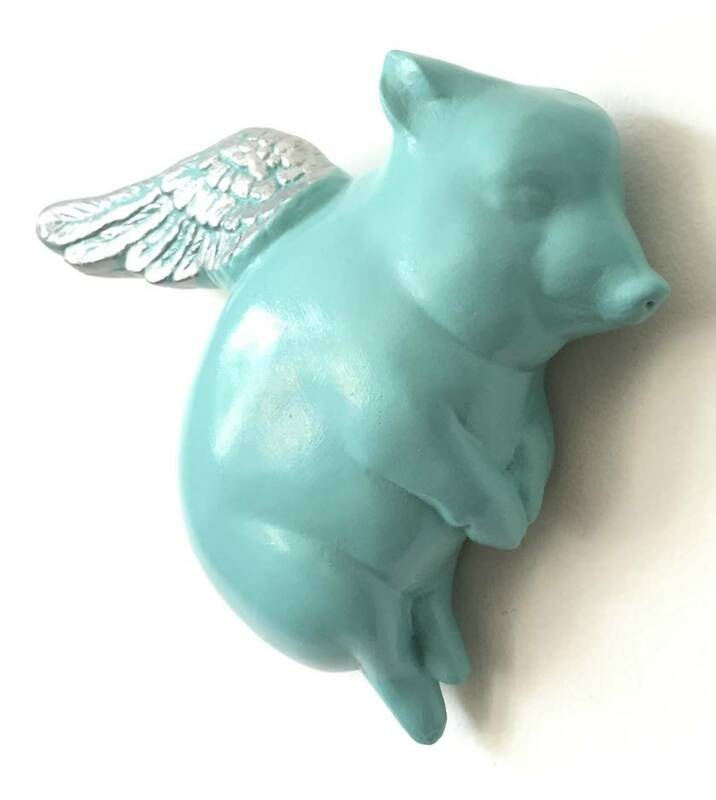 Made in Christchurch, New Zealand by Oink Flying Pigs. Please allow up to 10 days delivery. Contact oink to enquire about payment or shipping options. 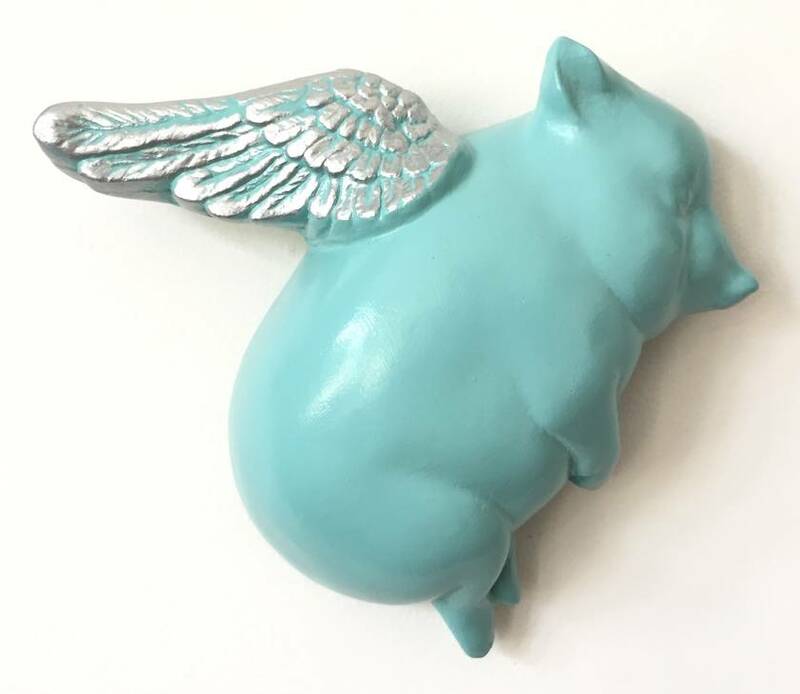 Who said pigs can't fly!